Buying a big-screen 4K HDR TV was a dream for me a few years ago as it often costs a few thousand bucks. However, I always knew the price would come down when more manufacturers join the market. Now, the time has come and you can even buy one for less than $1,000. VIZIO even makes 4K HDR TV more approachable for average consumers with the new VIZIO E65-F1. It has the MSRP of $798 but you can find it on sale for less than $700. Since this is a budget product, there are no redundant accessories inside the box. All we have is the TV, the power cord, a remote control, and 2 pieces of the stand. On the back, we can find familiar connections like 4 HDMI ports, shared component/composite video input, a USB 2.0 port, a TV tuner, an Ethernet RJ45 port, RCA audio out, and S/PDIF audio out. 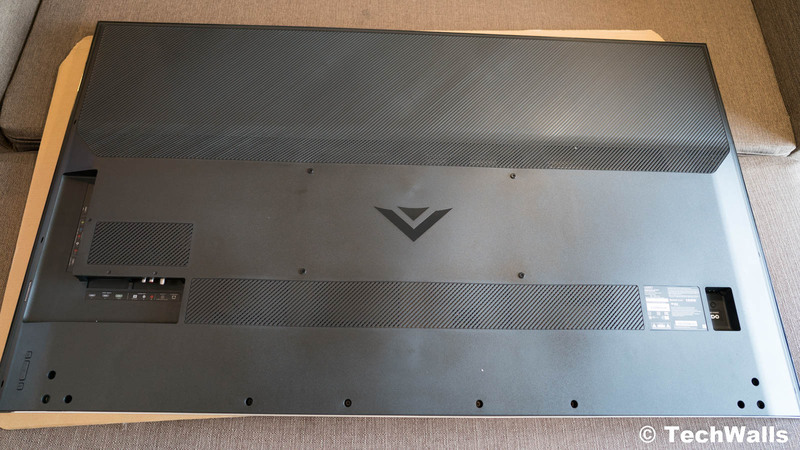 The VIZIO E65-F1 is fairly thick as compared to recent flagship models from Sony or LG. Besides, the transition from the front panel to bezels is not so seamless. However, it still looks great when looking at the front as the bezels are narrow enough. 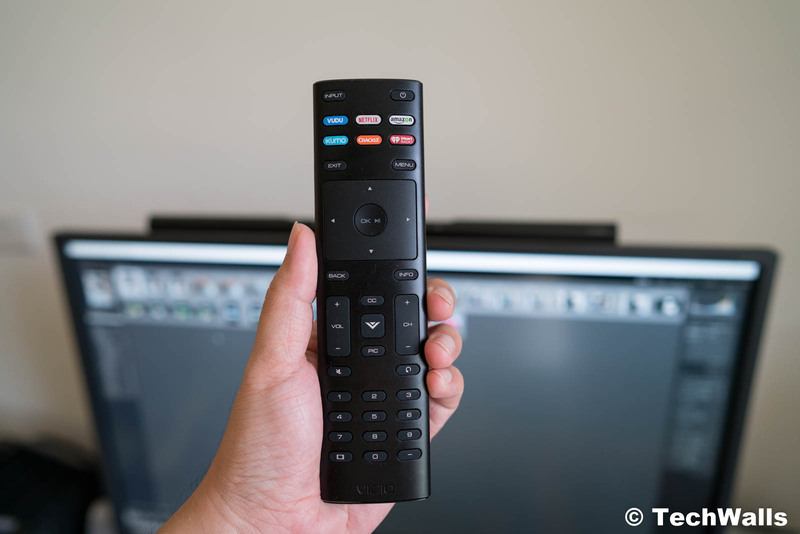 The remote control has some shortcuts to launch popular services like Netflix, Amazon, Vudu, etc. However, the buttons are not customizable, so I can’t use it to open Youtube or Spotify quickly. Another disadvantage is that the remote control doesn’t have a built-in microphone, so you can’t use your voice to control your TV directly. You’ll have to use your phone, Google Home, or Amazon Alexa speakers. Once you have one of the smart speakers, you can send voice commands to the TV and open videos or movies you want to see. Everything works great and I even can turn on/off the Vizio TV with my voice after enabling the Quick Start Mode. Since last year, VIZIO TVs are integrated with the new SmartCast OS. So you can control everything with the remote control and your smartphone is not required. It offers a simple and intuitive interface with all popular streaming services. You will need no time to get used to the interface because it’s even simpler than what we see on other smart TVs. 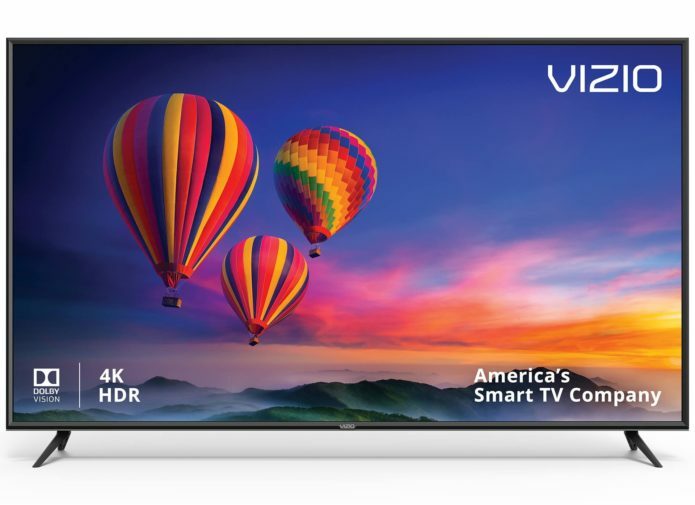 The VIZIO E65-F1 is way cheaper than similar 4K HDR TVs, so we all know VIZIO will have to sacrifice something in their product. And it’s the picture quality in this case. Having said that, as long as the difference is within an acceptable range, this is still a good product. You can check out the picture quality in the video below. 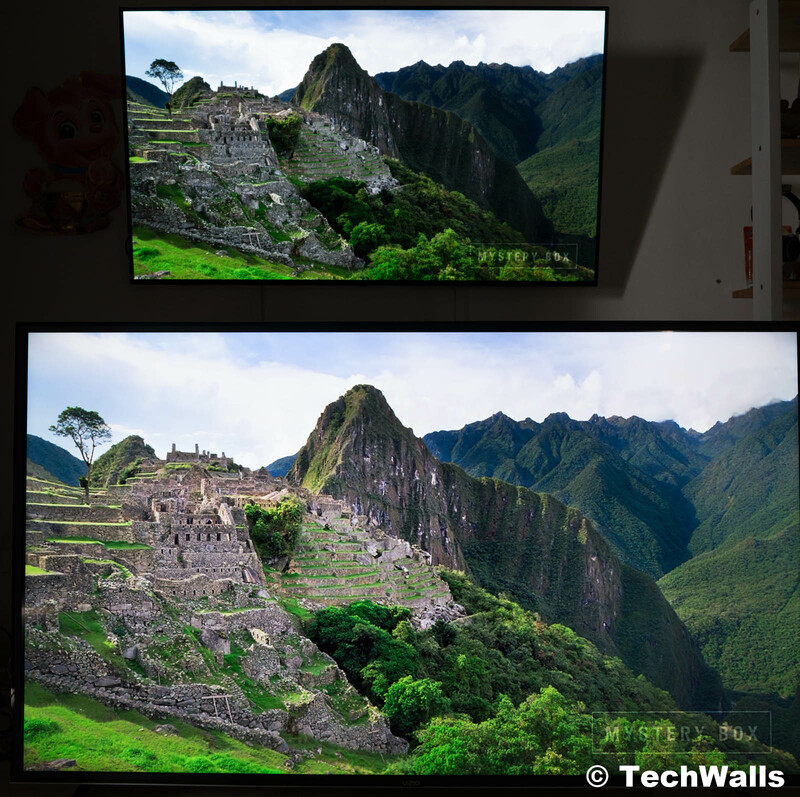 I also made a comparison between the VIZIO and an LG 55-inch OLED TV. Of course, the VIZIO TV is way bigger but obviously, it can’t compete with other 4K HDR TVs in terms of clarity and color reproduction. The LG TV is smaller but the image is crisp and clear and I can feel the depth when watching movies. On the other hand, the VIZIO TV is significantly brighter and it helps us see everything clearly in dark scenes. However, it is also overexposed sometimes and we lose many details in brighter scenes. The black level of OLED TVs is still unbeatable at the moment. Besides, the color on the VIZIO TV doesn’t look really natural. Even after calibration, I still see the same problem. The color reproduction is inaccurate probably to the brighter image; For instance, I made some comparisons and found out that the red color looks more like a dark orange while the green color is also way too bright. Having said that, the picture is still very good as compared to other TVs in the same price range. The picture quality of the TV is also affected by its Wi-Fi receiver. It seems like the receiver is not something high quality as the video quality is dropped to lower resolutions very often. I tried playing the same 4K videos on both LG and VIZIO TVs at the same time and only the VIZIO TV has this issue. 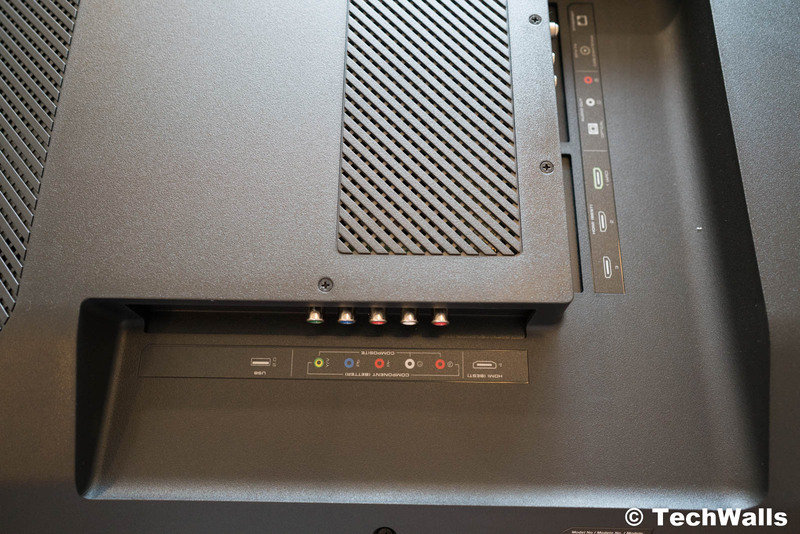 Therefore, make sure to have a reliable connection when using this TV, or you’d better use an Ethernet cable to connect it to your Internet router. 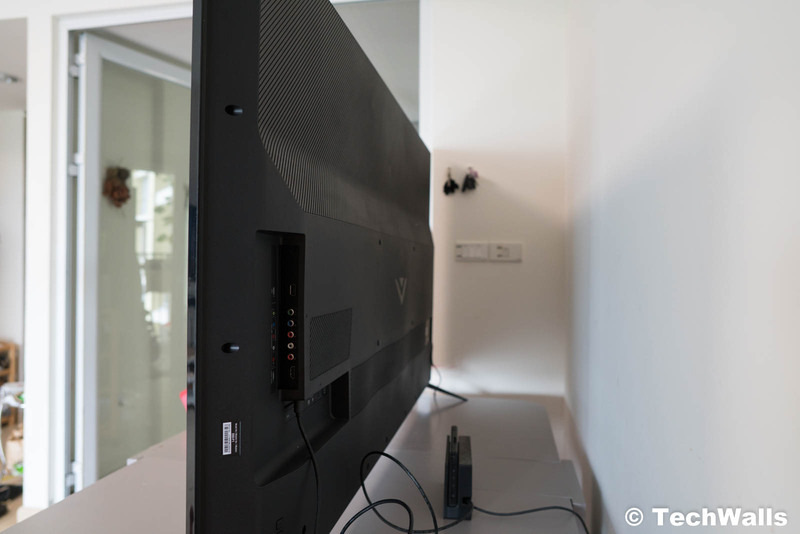 The VIZIO E65-F1 might not be the best 4K HDR TV in terms of picture quality but it offers a lot of interesting techs at an affordable price. 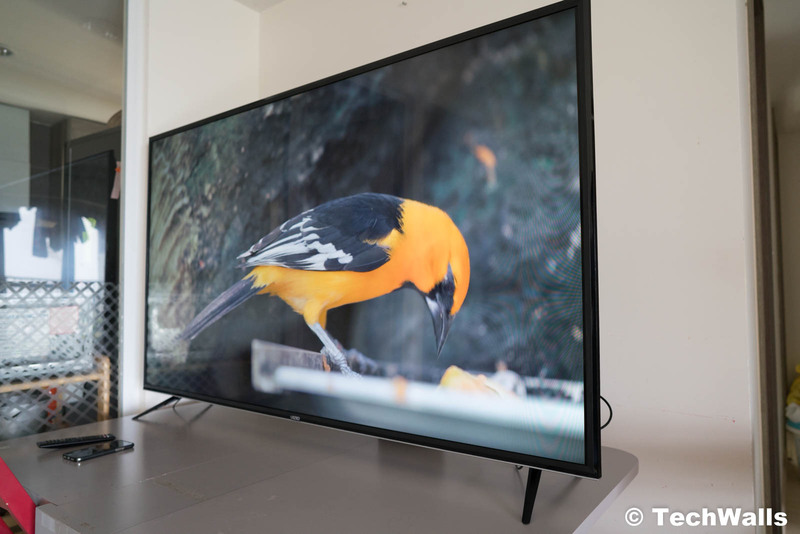 Many people won’t be able to see the difference between this and other expensive 4K TVs, therefore, we at TechWalls totally recommend this TV when you’re on a low budget.